It's the American Independence Day. I doubt ANYONE can miss that little piece of fact... so I present two Goddesses especially important to Americans. There are several personified countries as Goddesses - The Maiden of Finland, Mother Svea in Sweden, Britannia and the French Marianne. 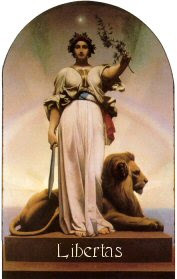 There are several pictures with these national personifications depicted in different situations, like the painting of Libertas Marianne leading the revolutionary people by Delacroix, or several cartoons with the Mother of the Country either disciplining some politician or being bashed by the enemies of the country etc. 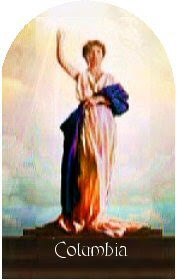 Libertas is the most commonly used Goddess to "double" as the National Personification among countries that have fought for their independency. 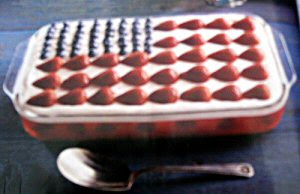 So - what to eat on the USA Independence Day? I like this picture of Libertas. Oh, it was so long ago I can't remember where exactly I found it, but the artist is Jean-Léon Gérôme, a French artist, who lived 1824-1904, and this painting is called "The Republic".